The original kid’s EMU Australia Wallaby Mini boot has been updated with on trend metal studs for some toughness and edge. Sitting just above the ankle they are a fun and functional boot for everyday wear. 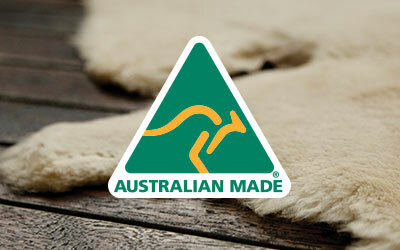 Made with premium suede and lined with soft Australian Merino wool, these boots keep feet warm and cosy. The kid’s Wallaby Stud Mini boot in Black and Midnight is EMU Australia’s original boot updated with metal studs on the vamp. 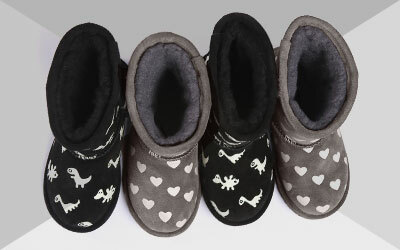 Comfortable and functional, these ankle height boots are made with natural suede and cosy Australian Merino wool to ensure warmth and comfort for little toes. 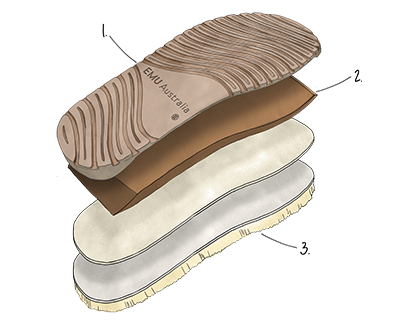 A dual density outsole with extra cushion EVA provides optimum traction while the moulded heel delivers a superior fit and comfort.